Our 10th challenge over at CAS on Sunday is to use…. black, white and one other color of your choosing on your CAS card! This pink piece of cardstock was laying on my table and I thought…why not! Here is a link to the blog so you may check out the rest of the Design team’s wonderful work ! Can’t have a challenge with out a wonderful prize…..now can we? And this is the Prize you can win! 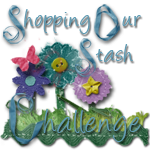 I am also linking this card up to the Shopping Our Stash challenge. The requirements are to use no patterned paper in your creations. They said we could make our own…which is exactly what I did! with a pen to give it a different look! I also checkered the paper under celebrate at the bottom! CAS on Sunday blog and join us! 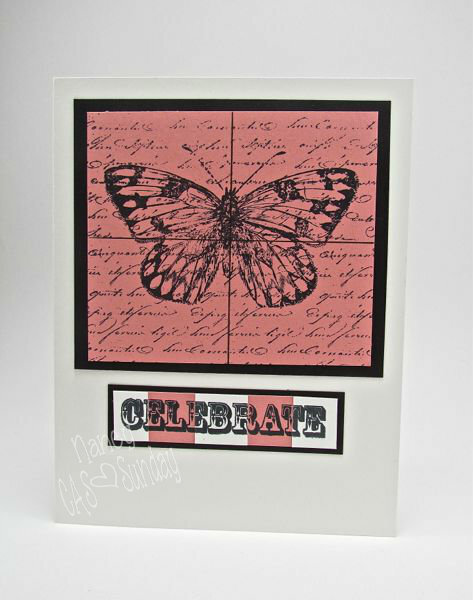 Categories: Cards, challenges | Tags: Card making, Cards, Close to My Heart, color challenge, Gkd, rubber stamps, Stamping Up | Permalink. I love that card. Great color choice too. I just love this Nancy!! This is SO beautiful! !